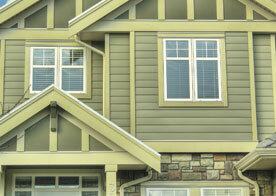 Cambridge Exteriors is the leading remodeling company in Atco. Our team of remodeling contractors has been in the business for years, and in that time we have perfected our craftsmanship. From kitchen and bathroom renovations to full deck redesigns and roof repairs, we are able to provide the Atco area with the things they need to fall in love with their home time and time again. 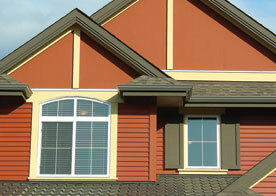 Cambridge Exteriors initially started out as a company seeking to be the best in the roofing business. We’ve now been in business for more than 20 years, and in that time we have developed new skills, perfected our craft and expanded to different areas of remodeling and renovation. We are a one stop shop for all of your renovation and remodeling projects. Our goal is to keep you as involved as possible throughout the project so that we can easily replicate the layout you have in mind. One of the best parts about remodeling a space is that you’re able to create an entirely new area that is designed and built around your needs. When you work with Cambridge Exteriors, we will sit down with you and better determine what parts of your current floor plan you’re unhappy with. Together we can find counters to these issues and implement the solutions into your new design. Once we’ve determined what the layout of your space will look like, we will move on to determine the design. You will be able to choose from a selection of materials that we use. All of these materials will be provided by the top suppliers in their industry, so you can feel confident that the renovations and remodeling projects that we take on will be left not only beautiful, but sturdy and efficient. When you work with Cambridge Exteriors, you will see that we take a different approach to the way that we do things. Our goal is to minimize the amount of unknown factors in your remodeling project so that you can enjoy it, just as you should. We are able to do this through the strong levels of communication that we maintain, but also through the consultation that we do at the beginning of the process. During this consultation we will review the space that you are having remodeled or renovated. During this time we will cover the amount of space that will be renovated, the supplies that you’re going to use and the projects that are going to be completed. In doing so we can provide you with an accurate timeframe on what a project of this size will look like, as well as what type of budget you’d need to have in order to complete this project. Because after all, this project is something that you should be excited about and enjoy the process of. If you’re ready to get started on your remodeling or renovation project, then you need to call our office in Atco. 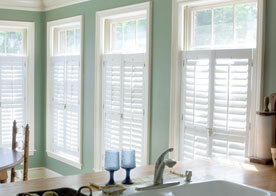 Schedule an appointment with one of the trusted remodeling contractors from Cambridge Exteriors.